The museums and libraries in Pittsburgh have recently gotten into the late night/after hours trend - opening up after hours, with food, drink, live music, and other fun activities. On Friday, I went to a Harry Potter themed after hours at the Carnegie Library of Pittsburgh, right in Oakland. I'm a huge Harry Potter fan, so it was a really fun night! They brought in an owl from the Pittsburgh Aviary for the first hour of the night, which I made a beeline for. Sadly, I wasn't allowed to touch the owl, but did get to get an up close and personal picture, and also learn a lot of owl fun facts. 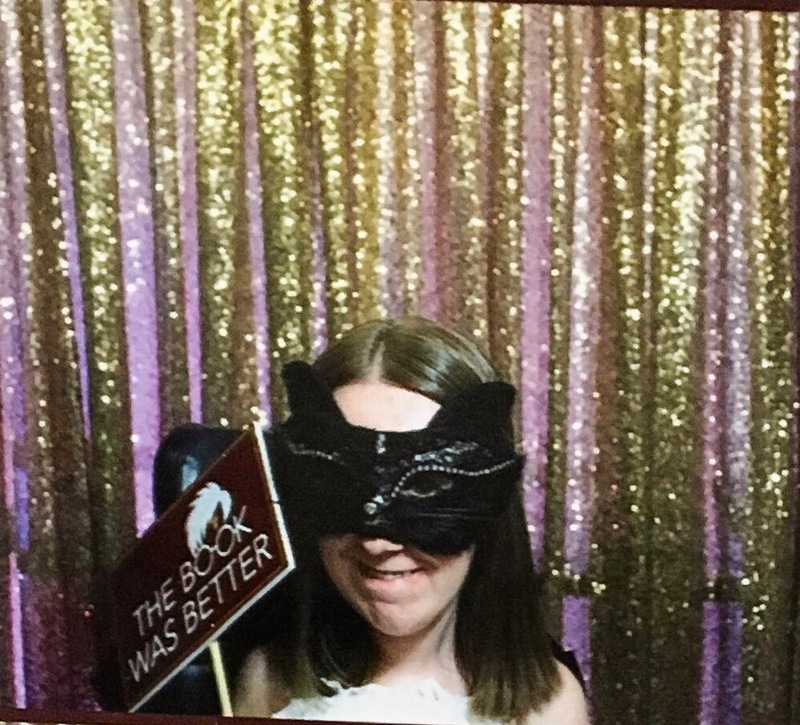 They had trivia, drinks like Butterbeer and Polyjuice Potion, an Azkaban "wanted" poster you could pose behind, and a fun photo booth with lots of prop options to choose from - which of course, we took full advantage of! 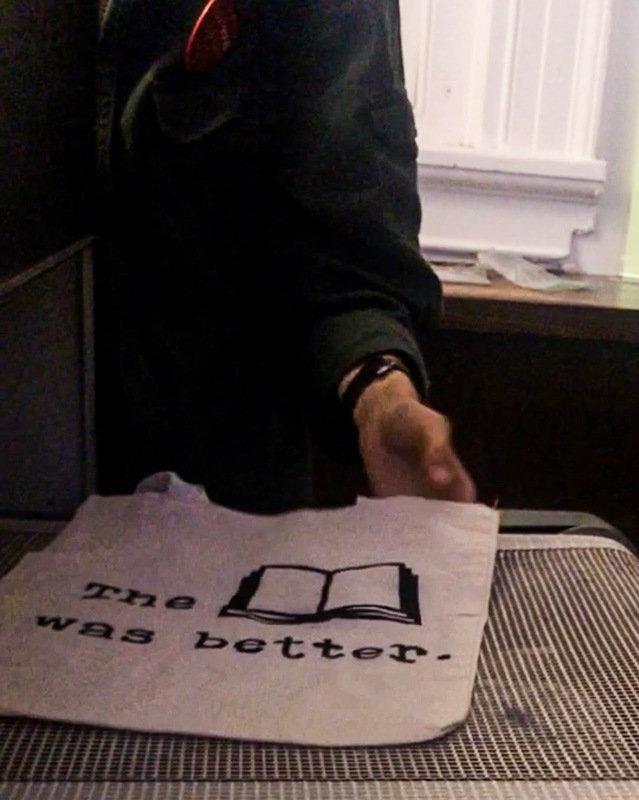 There was also a screen printing station, where could you get a tote or t-shirt screen printed. I always think the book is better than the movie - I'm not always the most fun to go to a movie adaptation with! - so I couldn't resist. I think these events are so fun because they seem like you're doing something off limits - eating, and drinking, and hearing live music in a library - those are all things that you normally aren't allowed to do! Also... I loved the blue polka-dotted J.Crew dress (from this post) so much, that I went back and got the white version, too! When I find something that fits me so well without and tailoring at all, I have to snap it up while I can - it doesn't happen very often! I don't follow the "no white after Labor Day" rule, so I'm looking forward to wearing this dress well into the winter and fall.